← August deal ending soon…. Today saw one of my June brides and her new husband come into the shop for the first time. When I first met them both way back last year the shop was still only a pipe dream and although I had the shop for Siobhain and Dans wedding I was not officially open. Their flowers were the first wedding flowers to go out of the shop! It was lovely to see them both today and married life really seemed to be suiting them. This is what they gave me!!! I certainly never came into this profession for gifts like this but it really makes me feel appreciated for all my hard work. 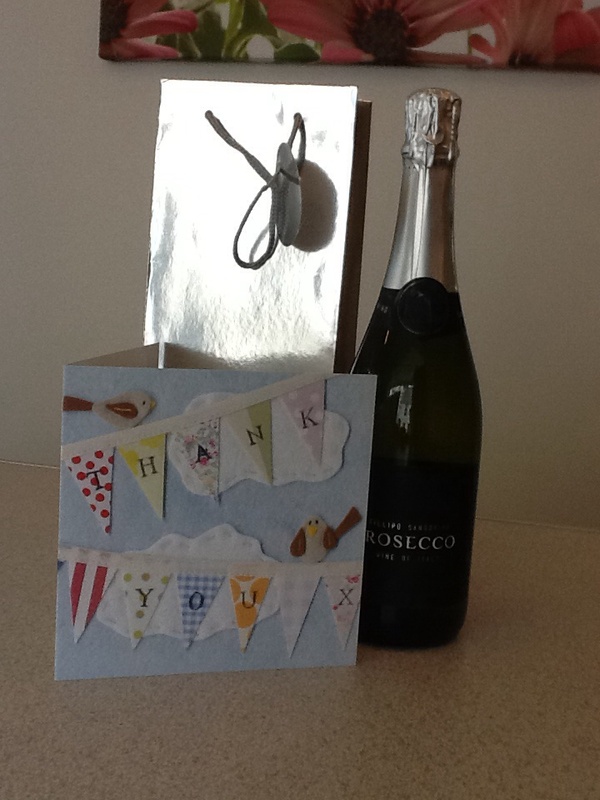 Thank you Siobhain and Dan, I look forward to having a glass tonight after I have put my feet up!